Looking for tips and tools to promote your blog post? I’m sharing here my to-do list of 10 things you can do to promote your blog post, after hitting the publish button. 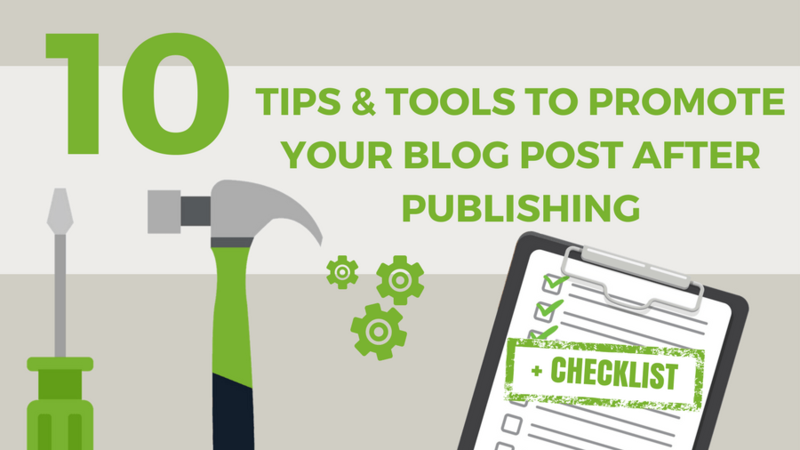 10 things sound too much work to do for every new post you publish? Don’t worry, I also show you tools you can use to help you with your work in no time and how you can tick off your checklist as quickly and as easily as possible. And, you will see that promoting your post can have a tremendous impact on the performance of your post. Once you’ve written and polished your blog post for readability and search engines, the real work only just begins. Even, if your content is top-of-the-rocks outstanding, it won’t promote itself. To get readers and fans for your post, the promotional work is the most important part of blogging. Promoting your post using social media, content syndication and networking with influencers can be highly effective to build up a continuous flow of targeted readers to your blog post and increase your blog traffic. A lot of bloggers simply forget, they already have blog subscribers or a newsletter list. Your email subscribers are the first ones who should get to know about your new post. They have signed up to get news and updates from you and they should be the first to know about your post. Subscribers are your most loyal visitors and the most likely to like and share your post. Don’t forget to ask your subscribers for their opinion, because they are the most likely to comment on your post and start a discussion. Placing social media share buttons at the top and at the bottom of each posts will encourage your readers to share your post. Also, encourage your readers to share your images. If you have an infographic, invite your readers to share them or embed them on their blogs by displaying embed code. Always use strong call-to-action like “please share” to nudge them into action. In some networks, you can join current discussions by adding popular hashtags. Hashtags also turn your posts into searchable content. Each network is used for different purposes and at different times when communities are most active. And, the communities react differently to post formats. Hashtags work fine for Twitter and Instagram, but they perform less on Facebook and LinkedIn. 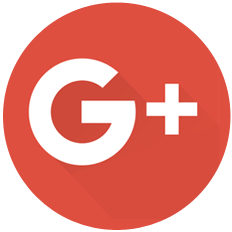 Google+ users read long comments, while on Facebook short comments perform better. You may also need to address your LinkedIn business contacts differently than your Facebook friends. 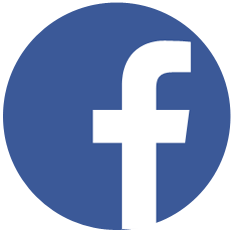 If you have a product or business page on Facebook, LinkedIn, and Google+, share your posts on your pages as well but at different times and days. Use the Blog2Social plugin to share and cross-promote your blog posts automatically to your social media channels, directly from the WordPress dashboard. The plugin allows you to auto-post and to customize your posts individually for each network. You can also schedule your posts to be shared at the best times to post on each network. The plugin auto-posts your blog posts to Facebook (profiles, pages), Twitter, Google+ (profiles, pages, groups), LinkedIn (profiles, pages), XING (profiles, pages, groups), Diigo, and Reddit, to Tumblr, Medium, Torial for re-publishing your post, as well as your images on Instagram, Flickr, and Pinterest. You may also re-post old post and pre-schedule your scheduled post for auto-posting. The proverb “A picture is worth a thousand words” has taken on a special significance in the age of social media. People are more likely to click on posts with images, than on posts with plain text. And, people love to search for images and videos online. 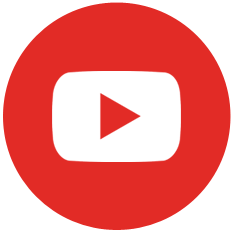 There are many sites and search engines just for image and video search, not to forget Google image and video search which is directly displayed in the regular search index. Visual content such as photos, infographics, and videos can have a tremendous impact on the attention you get for your blog post from all these sources as well as from social media. Whenever you share your blog post on social media as a regular link post, only your featured image will be shared. But most blog posts have more than just one image. Images you can use to re-share your post or to use for highlighting different aspects of your blog content. Share your post on Pinterest, Instagram, and Flickr, using your focus image with your introduction, hashtags and a link to your post. You can also share your post with selected images as image post format on Twitter, Facebook, LinkedIn, and Google+ to re-share your posts with different visual anchors. 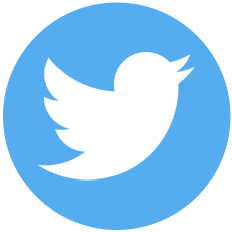 Note: Image post formats will automatically upload your images to your media gallery on Twitter, Facebook, and Google+. Your images don’t disappear in your timeline, but can be accessed by your followers anytime they browse your gallery. So don’t forget to add a link to your post in the comment of your image post to make your blog post accessible as well. Blogger communities like Reddit, Triberr or Quora are communities to find bloggers in your niche and promote your content. Specific categories to give your content a wider outreach and connect with people specifically interested in your topics. By networking with bloggers with similar interests you will be more likely to find people willing to share your content. Most communities work on a ‘give and take’ principle. You leave comments on other blogger posts, and they will leave on yours. Social bookmarking websites allow users to store and share links as bookmarks. Such sites typically offer their users various organizational tools, such as categories, collections or tags, to organize their bookmark links combined with social networking features, such as sharing, liking and commenting on links or link collections. The positive effects of social bookmarking for promoting blog posts is not to be underestimated. Social bookmarking can introduce sites to others with similar interests and drive traffic as well as set valuable backlinks to your blog. 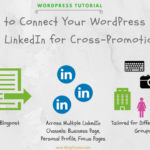 LinkedIn Pulse, if your blog post is business-related. You can use the Tumblr Crosspostr to automatically re-blog your post on Tumblr. Use the Blog2Social plugin to re-publish your blog post to Tumblr, Medium, Torial or Bloglovin’ automatically. The plugin provides a full Rich Text Editor for these networks, so you can optionally edit your title and copy or even change your image if needed. And, most importantly, you can schedule your post to get them re-published on different days and times. Turn long posts into a white paper or ebook as a takeaway for your blog and to share it on Slideshare, Scribd, Issue, & Co.
Write a checklist for your post as take away and share the checklist. Create an infographic for your post and share the infographic. 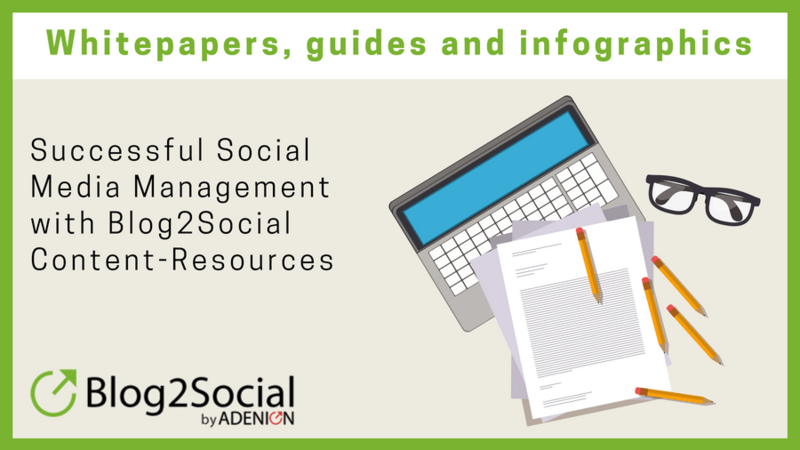 Use these repurposed content media also to re-share your post on your social media channels. 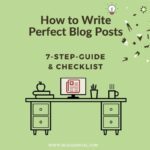 Writing guest posts for other sites helps you to build up authority, reputation, and valuable backlinks for your blog. You can reuse your content, but you have to re-write your post because most sites inviting guest posts request unique content. However, some sites allow links to link to your site or to added value content for your post, i.g. checklist or a whitepaper. To promote your blog post as a guest post, re-write your blog posts into unique content articles and submit them as guest posts to high authority sites and niche sites or blogs on your topics. 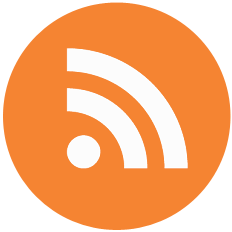 Comment on other topic-related blog posts and link to your post to generate valuable backlinks. But, do so only if your post really adds value to what it said. 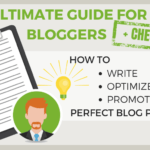 Get the Ultimate Guide for Bloggers: How to Write, Optimize and Promote Blog Posts to help you set up your cross-promotion plan. Some great tips you have shared regarding new SEO tech. I found some new ways to share content on Medium, Tumblr, and other sites after reading the article. Thank you for the kind words! We are very happy that you like the article and that our tips will help you. Here you can also find even more information about Medium and Tumblr. thank you so much for your awesome feedback on our article :). It’s great to hear you like the content and information we publish for you. We always keep the blog up to date! Whenever you need the newest information about social media and blogging feel free to stop by. You’ve offered some amazing tips here. What I love about email marketing, or emailing your new blog content to your subscribers is that, even though email marketing and SEO has no direct links, they still compliment each other. Yes, we know Google does not index emails which makes them a none Google ranking factor, but email marketing has a way to improve your SEO and search rankings. How? As your mentioned in your article – to email your post to subscribers, by adding inbound links to your newsletter asking your email recipients to link to it and also share it across social sites, your are increase your change of generating more backlinks and optimal social shares, which will effectively improve SEO and search rankings. In fact, I just wrote on this very subject for a client. Thank you for your comment, Moss. I absolutely agree with you. Email marketing is still an essential part of all online marketing activities and easily connects with SEO and social media marketing to improve your reach and success. Thanks for your valuable insights. Nice tips, very useful post and you have done nice infographics easy to understand before also I had visited your blog that is also a very useful post. 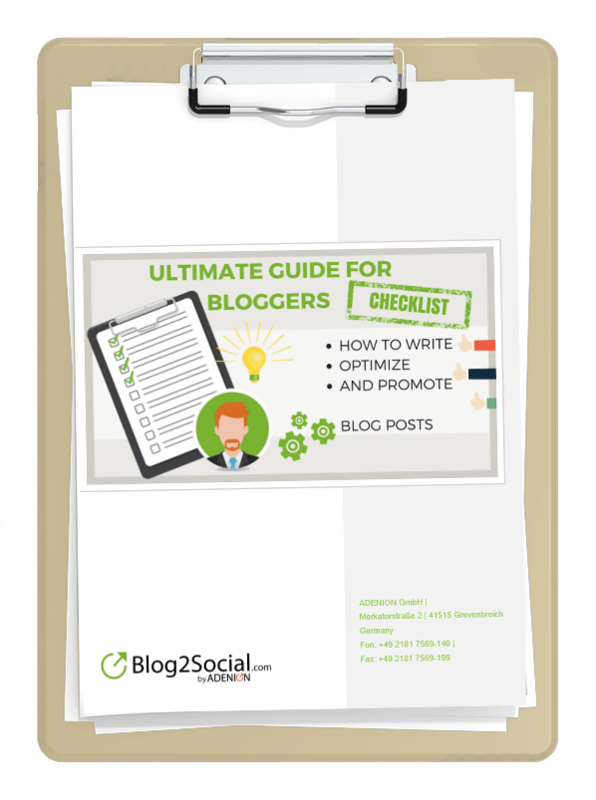 keep update to tips for promoting blogs in social media. thank you for taking the time to give this great feedback. We are happy to hear you like the article. We are constantly updating our blog. Just stop by again. I’m sure you’ll find new tips around social media and bloggin.